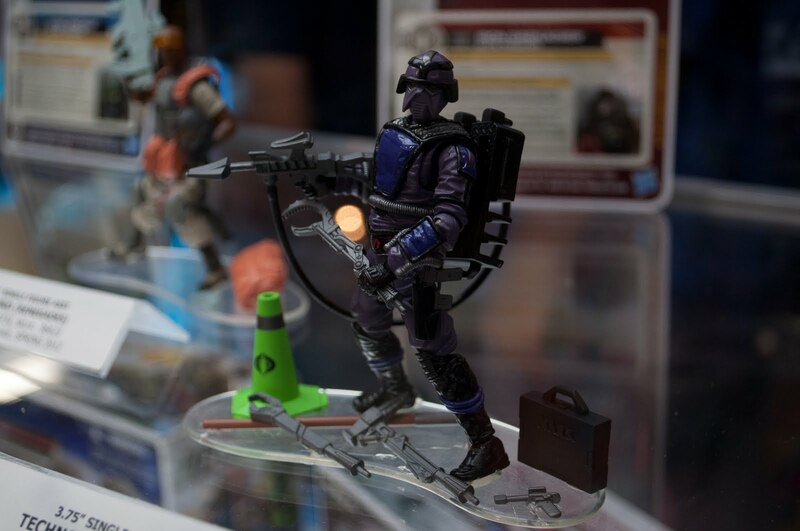 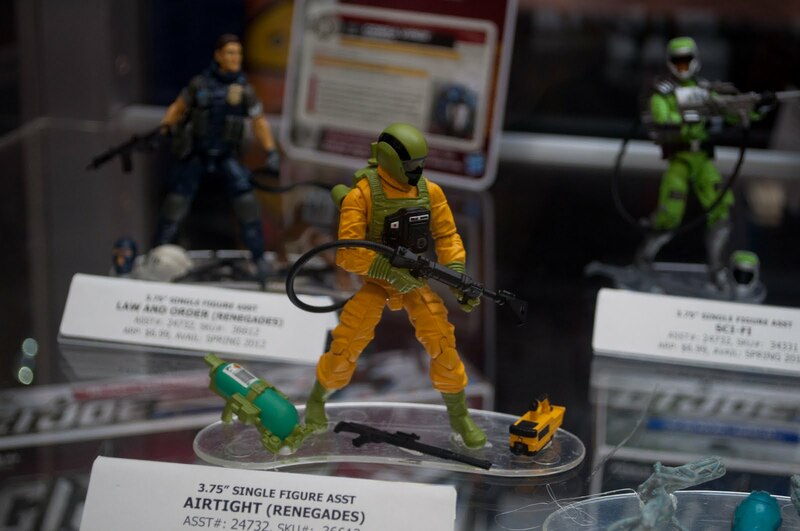 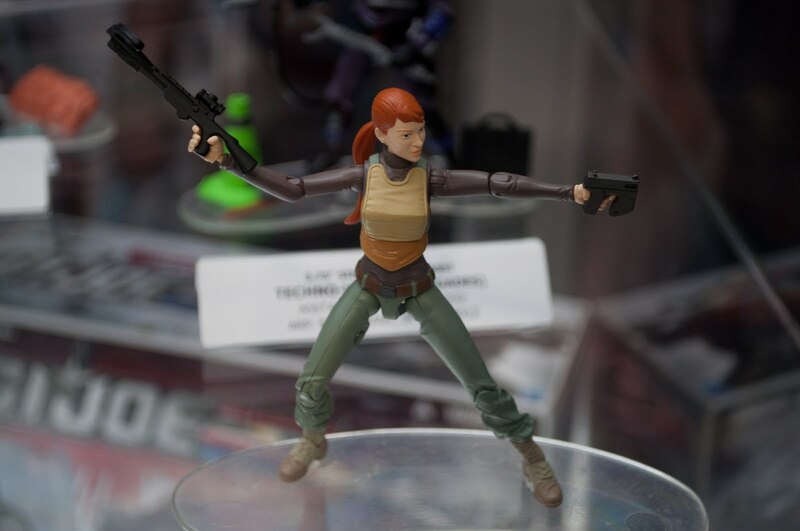 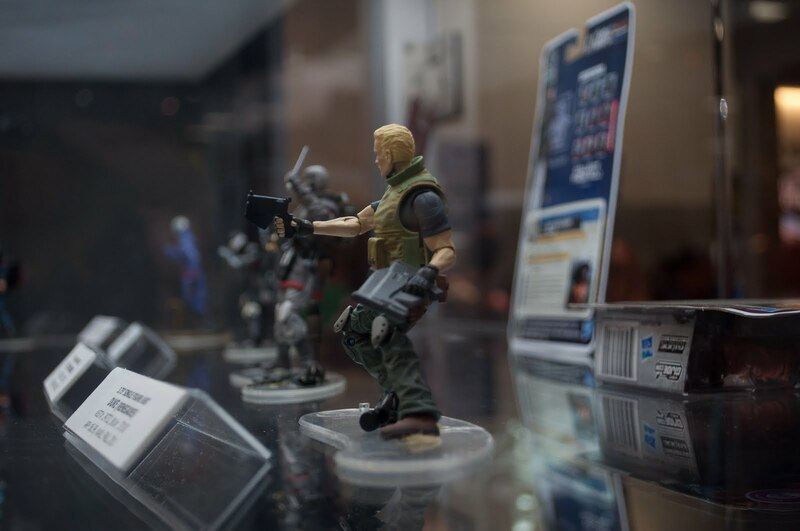 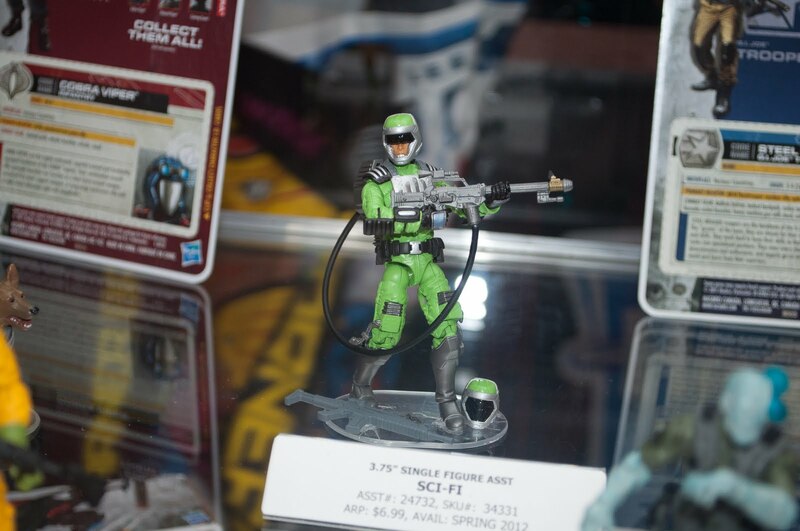 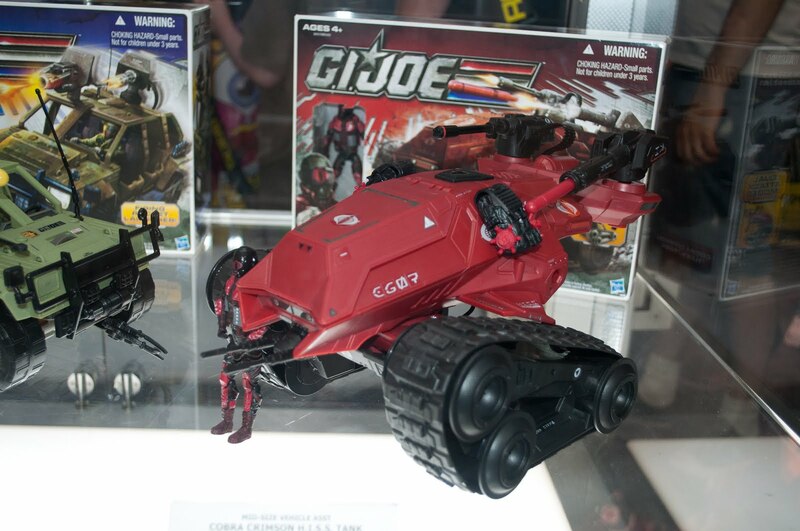 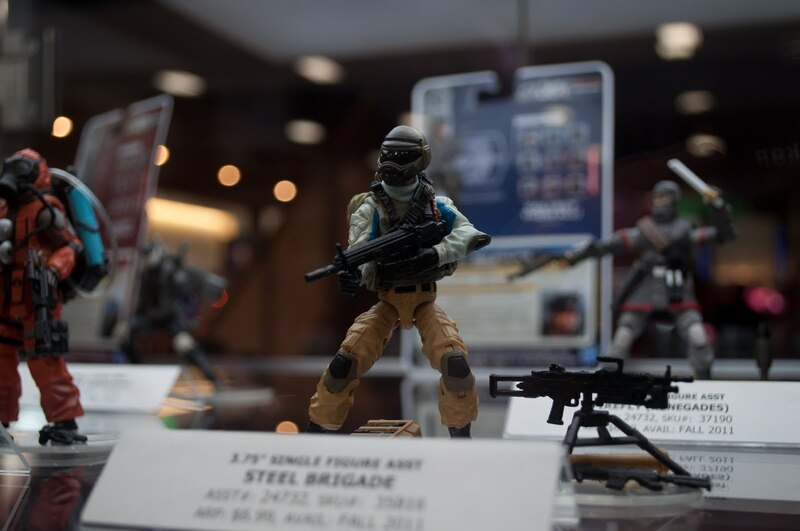 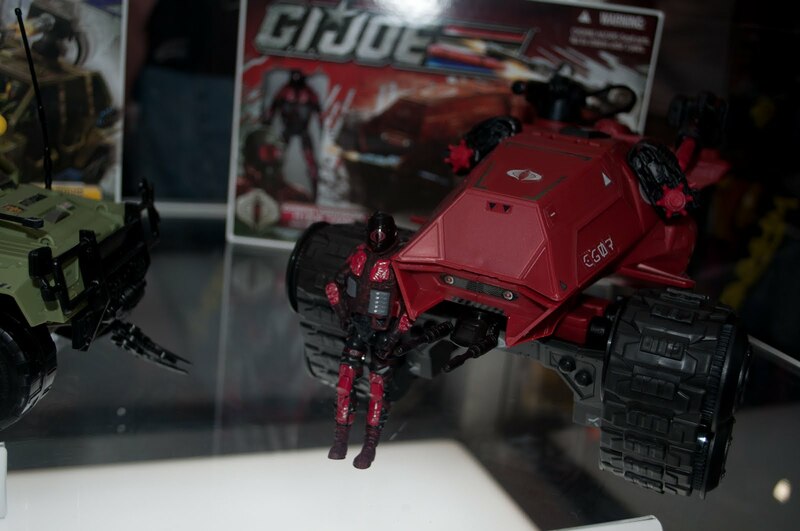 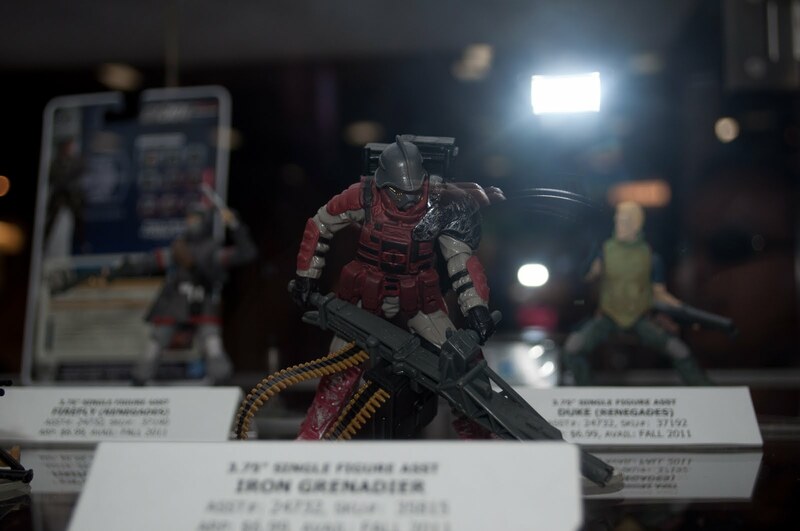 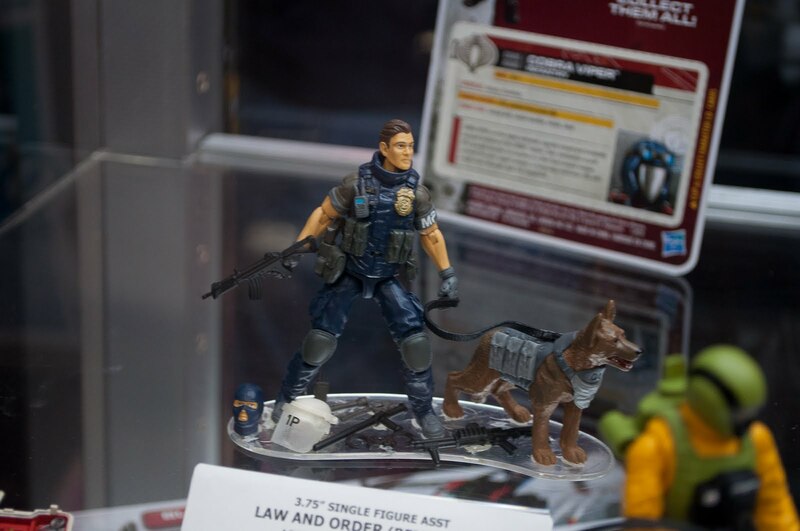 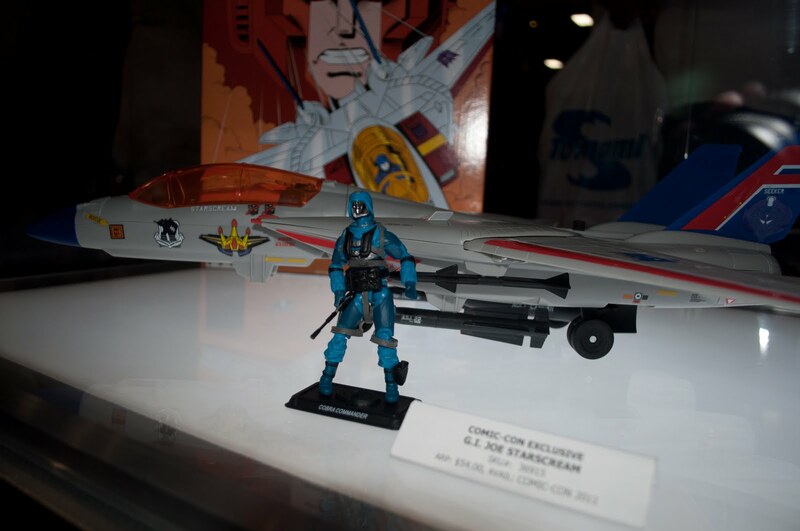 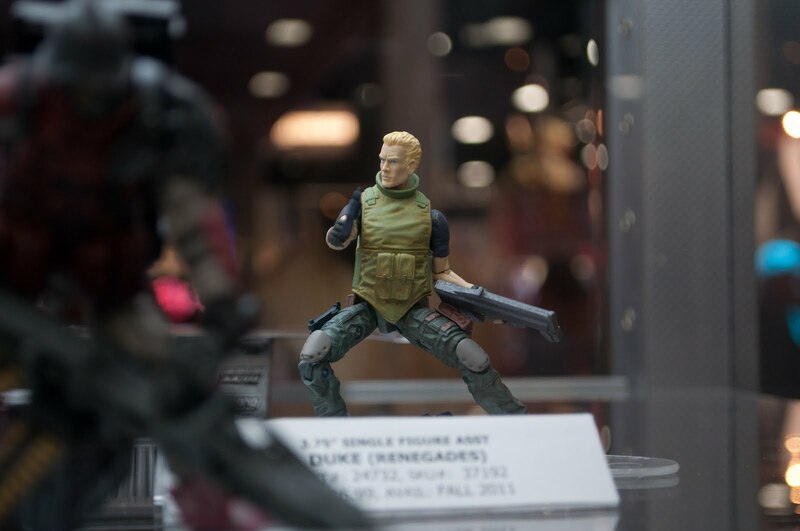 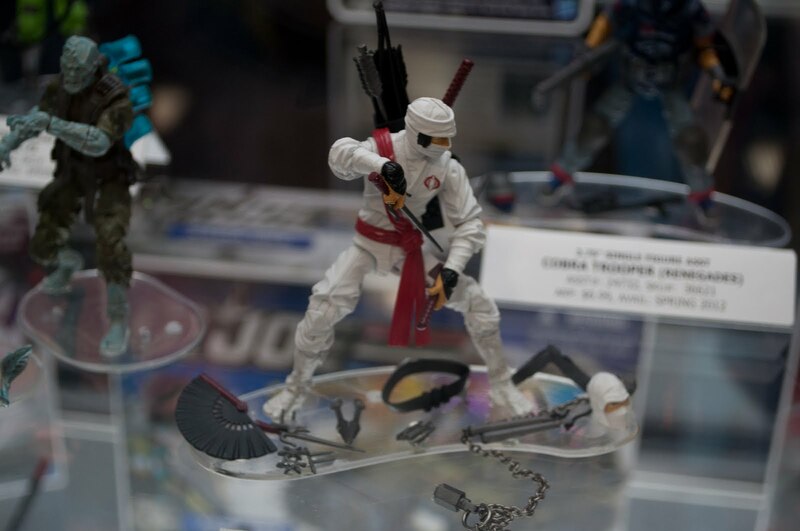 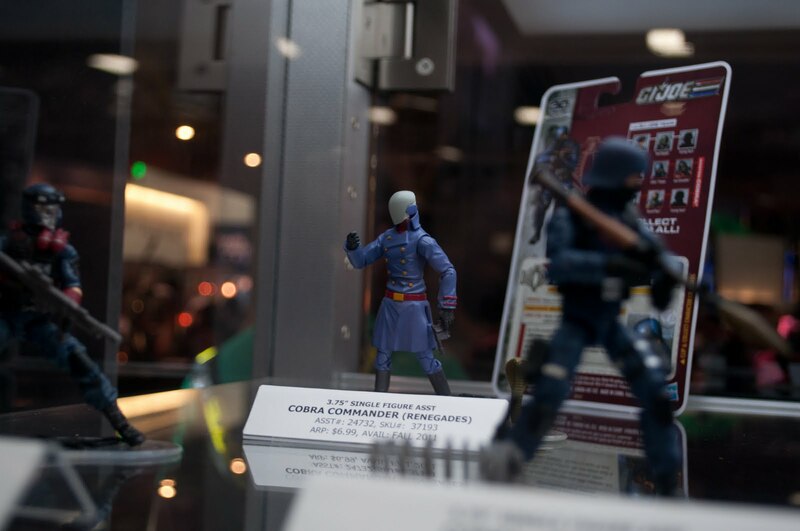 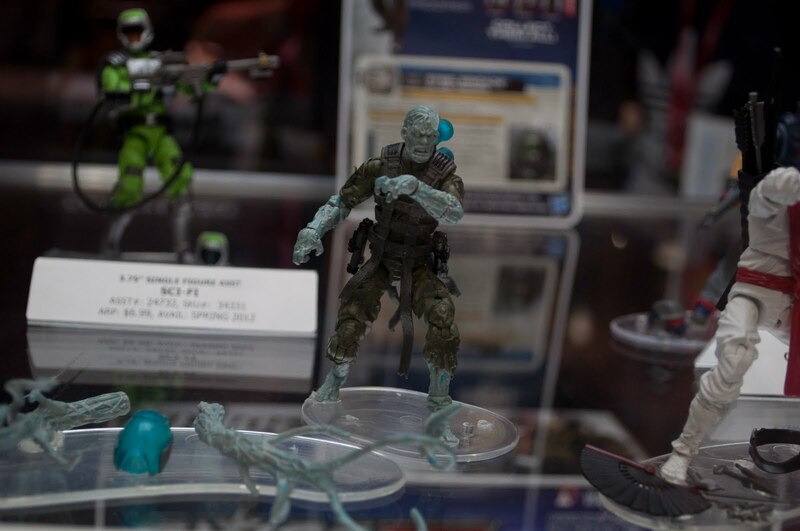 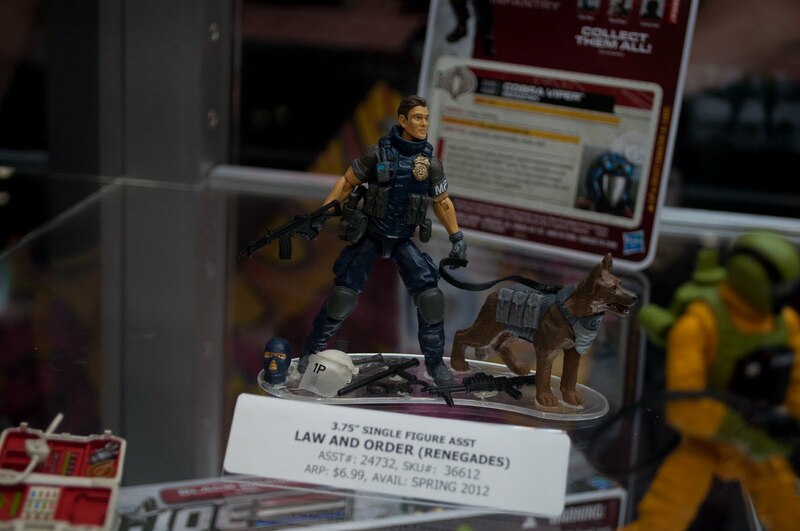 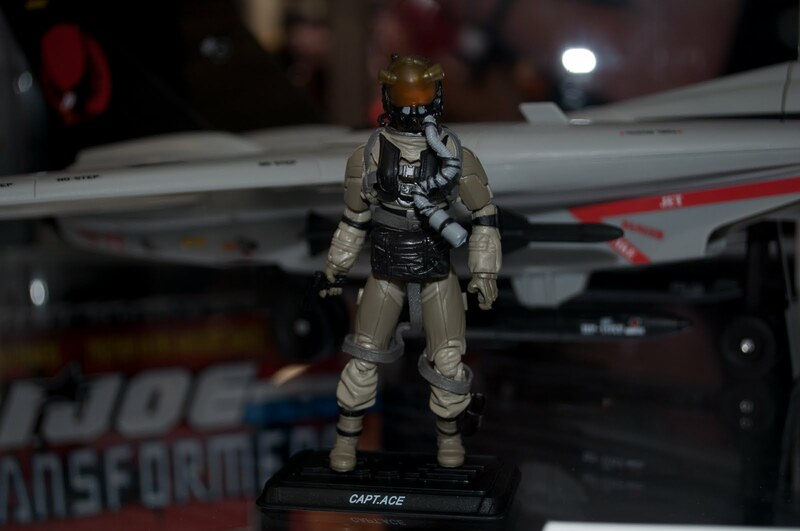 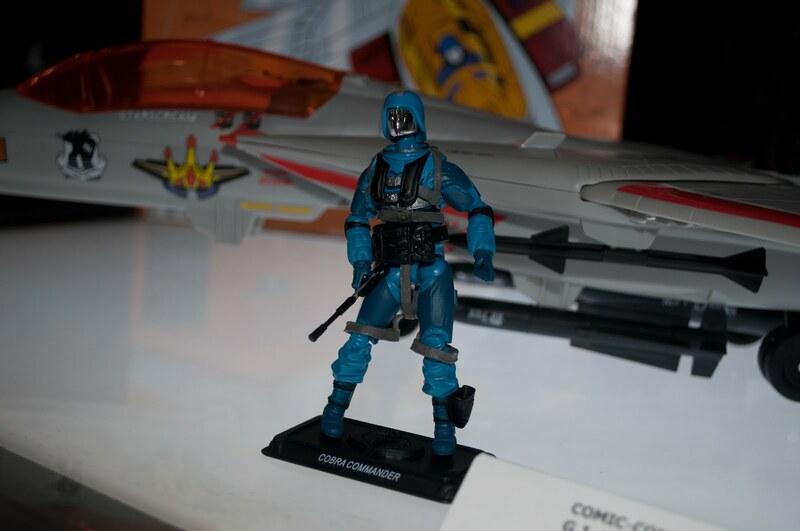 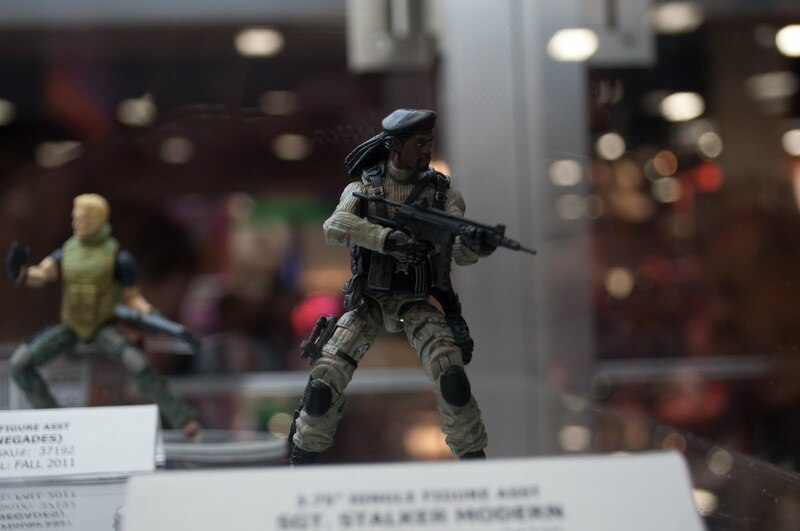 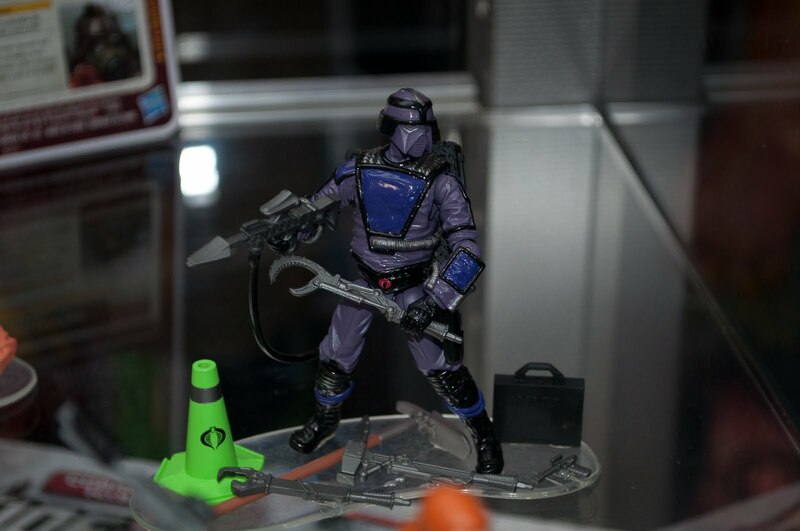 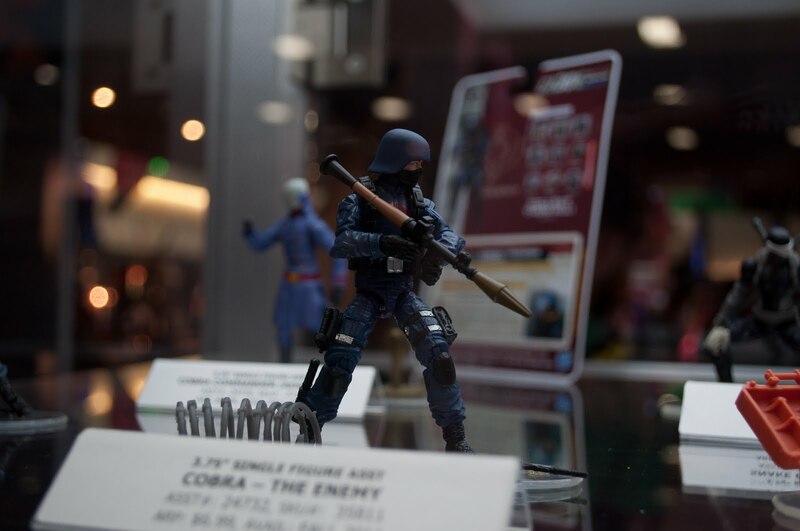 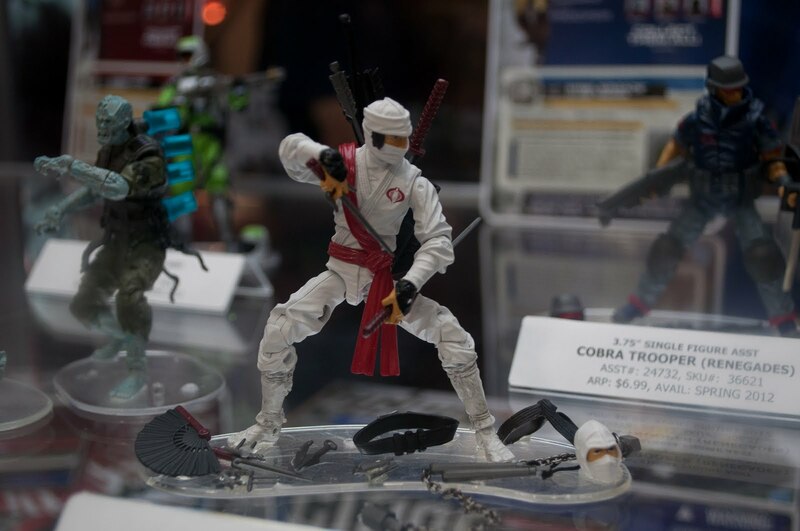 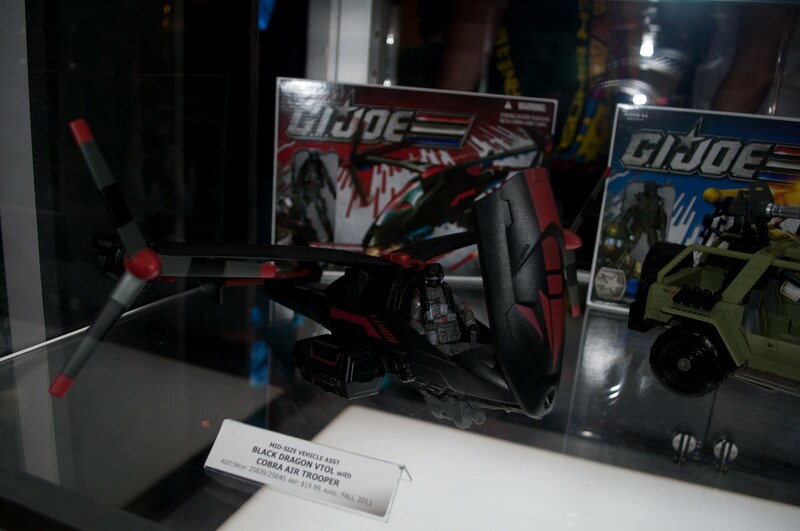 Our preview night gallery of photos from Hasbro's booth at San Diego Comic-Con 2011 is now up. 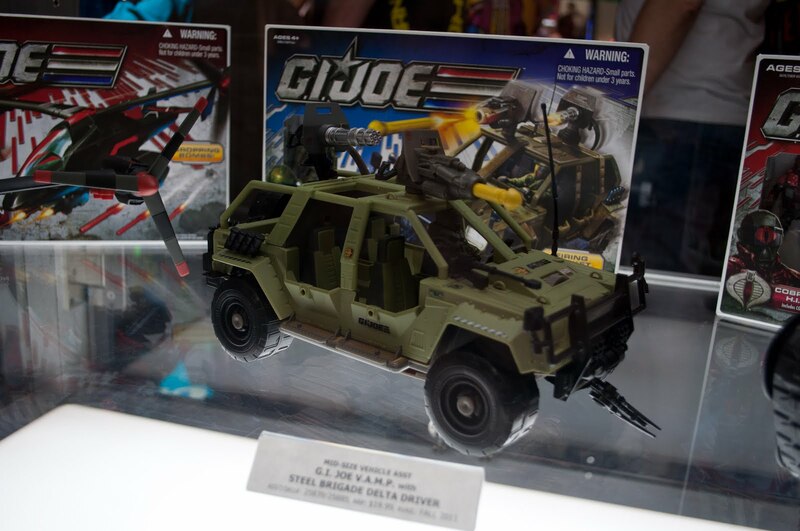 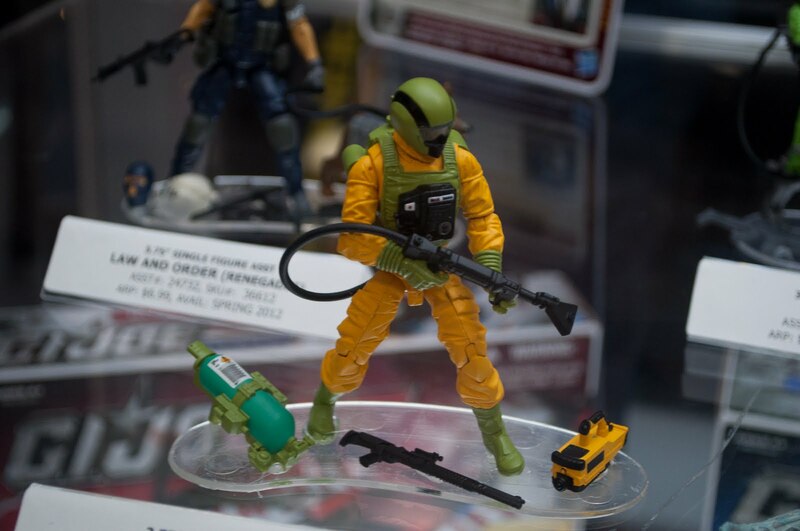 Hasbro made the decision to reveal their product line into early 2012 at G.I. 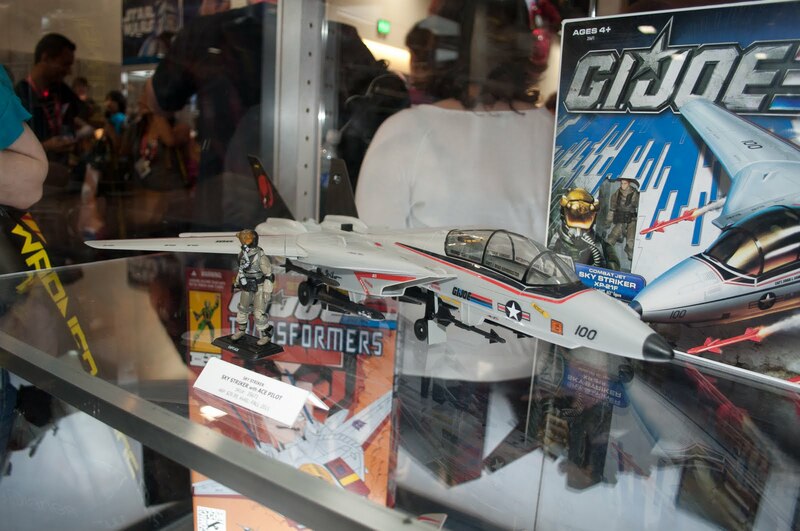 JoeCon 2011, so nothing new is being shown at Comic-Con. 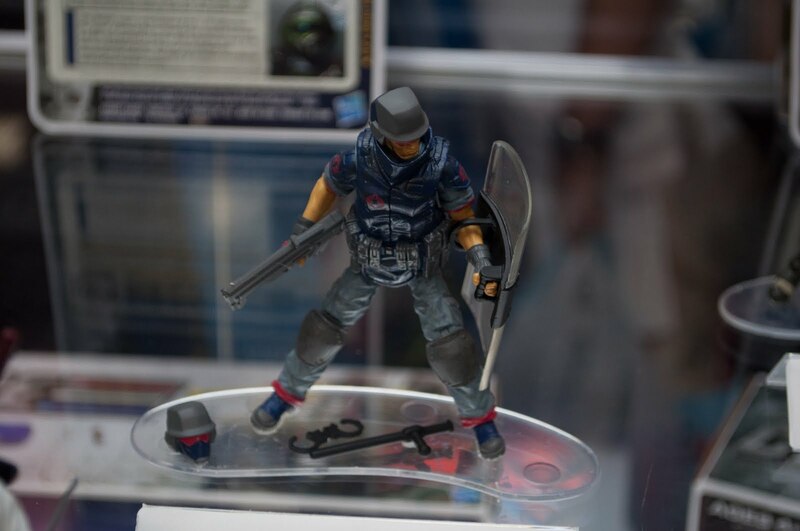 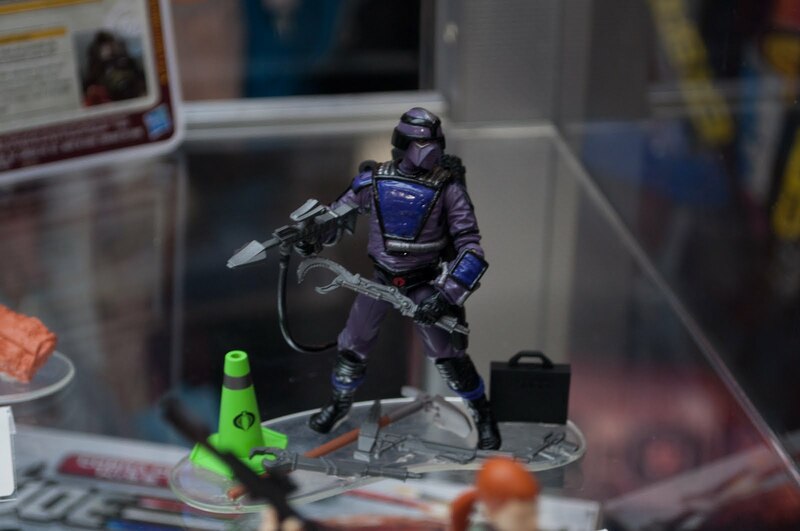 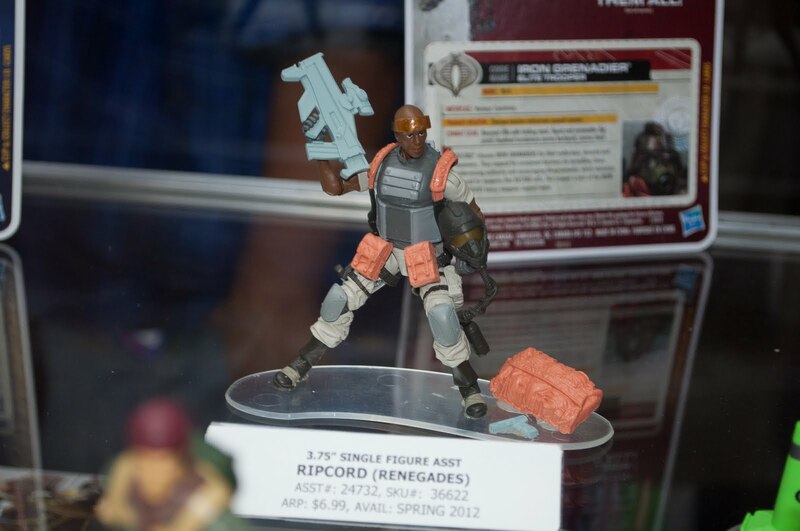 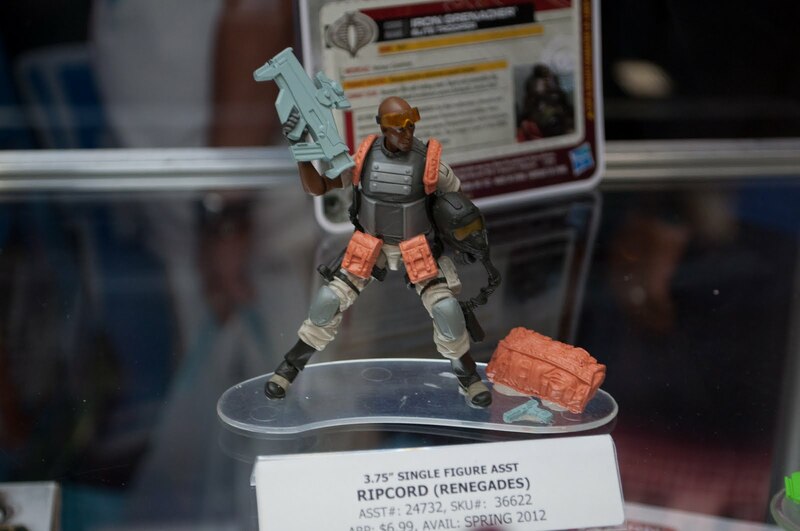 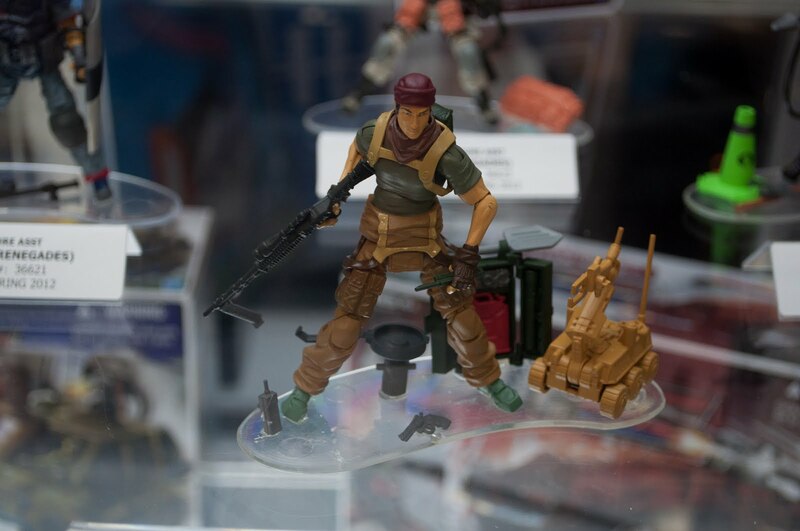 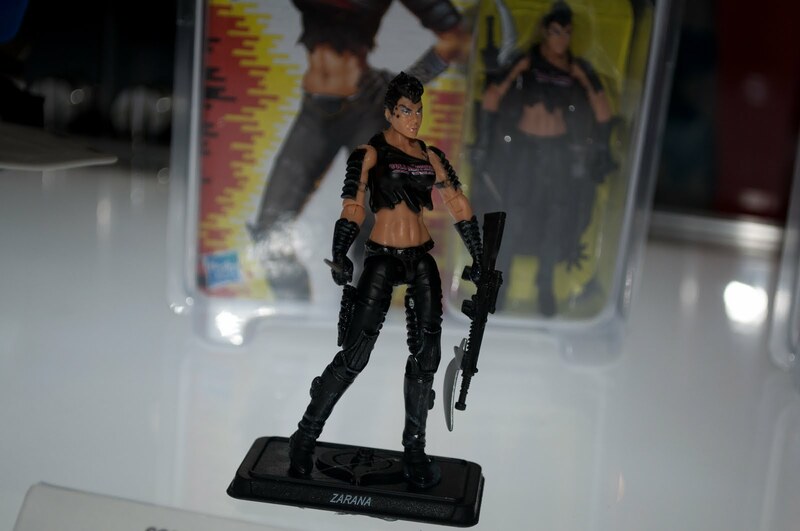 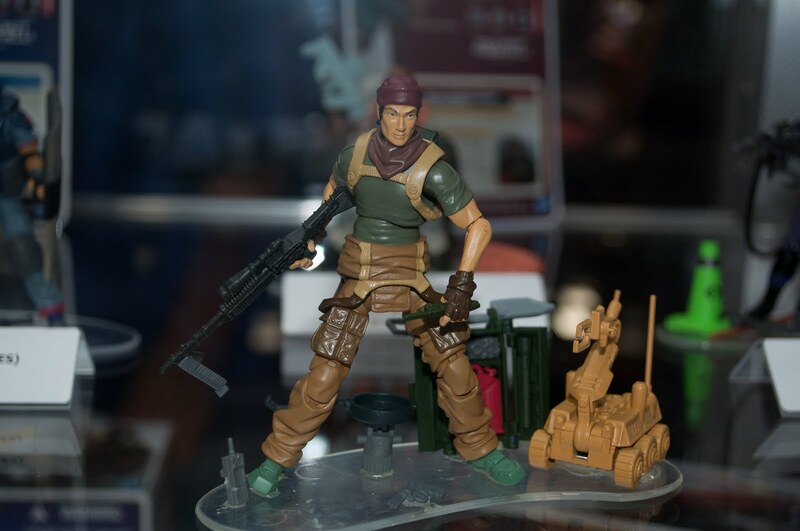 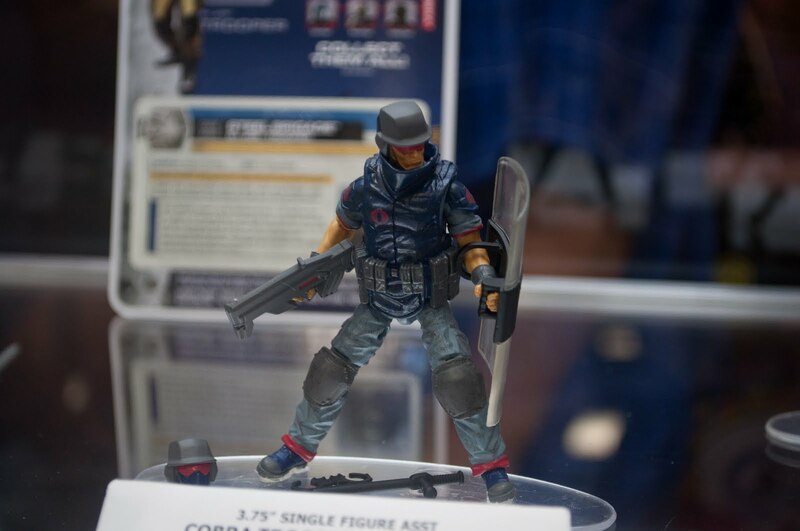 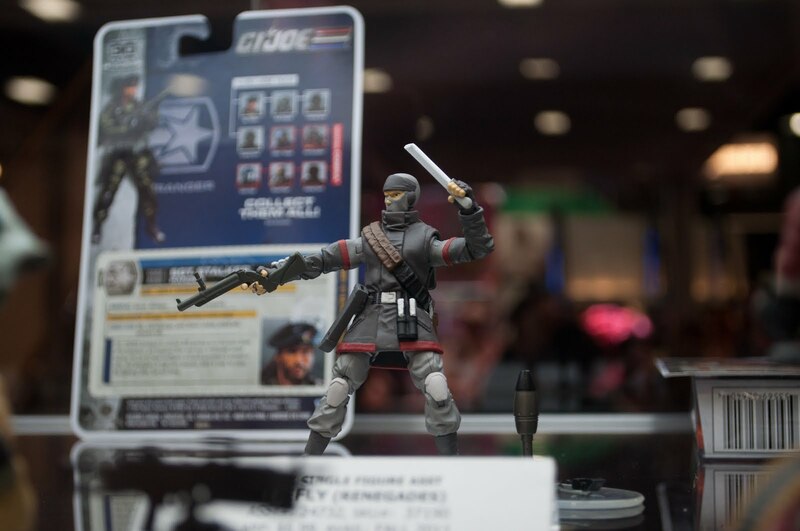 In discussing the line with the Hasbro team, we learned that additional Renegades concepts do exist--in some form--meaning they could be anything from an early stage concept drawing to pre-production prototype (we'll pry more, but mentioned Roadblock as an example of a figure essential to the show that doesn't have a figure as of yet). 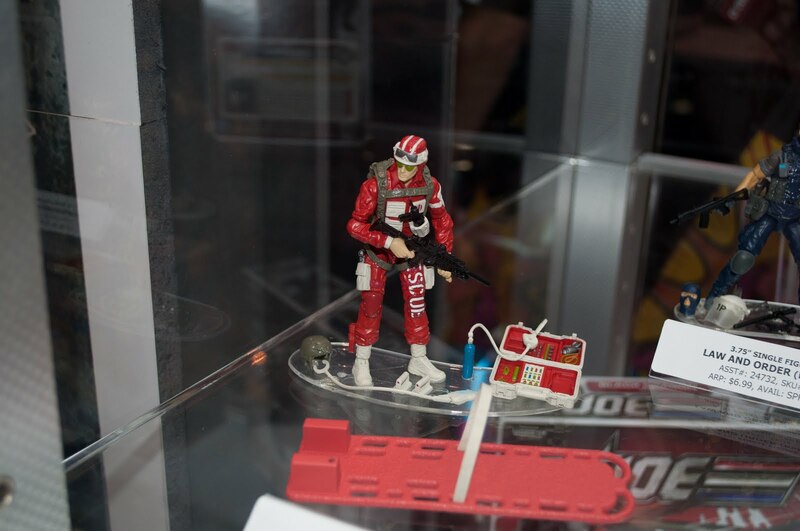 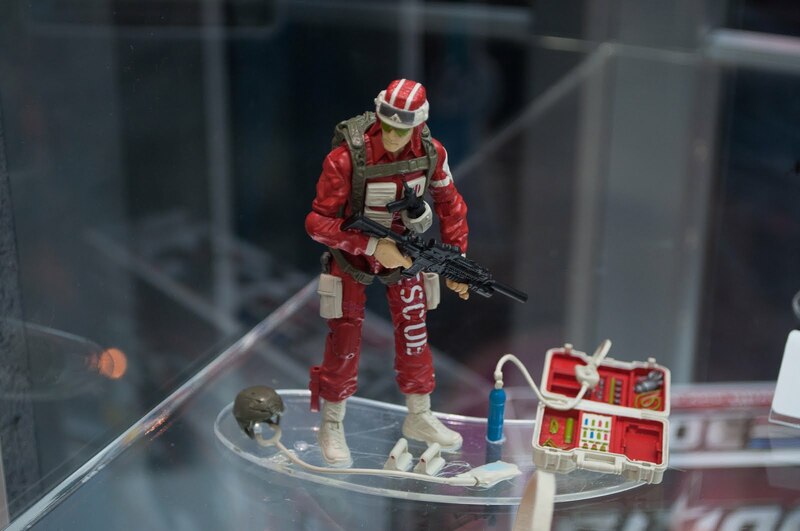 We've also confirmed that the Hasbro team will find a way to release the Data-Viper, but they weren't certain how, yet. 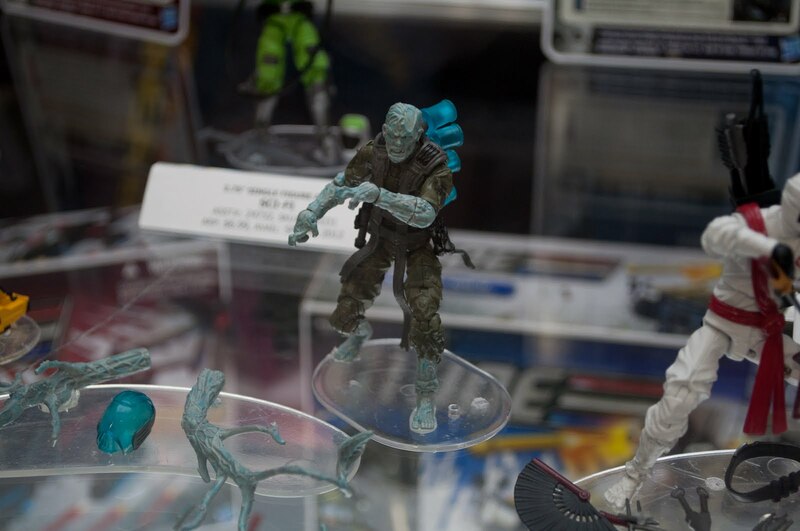 For those of you not attending Comic-Con and hoping to land one of the exclusives at Hasbro Toy Shop on Monday, exclusives are limited. 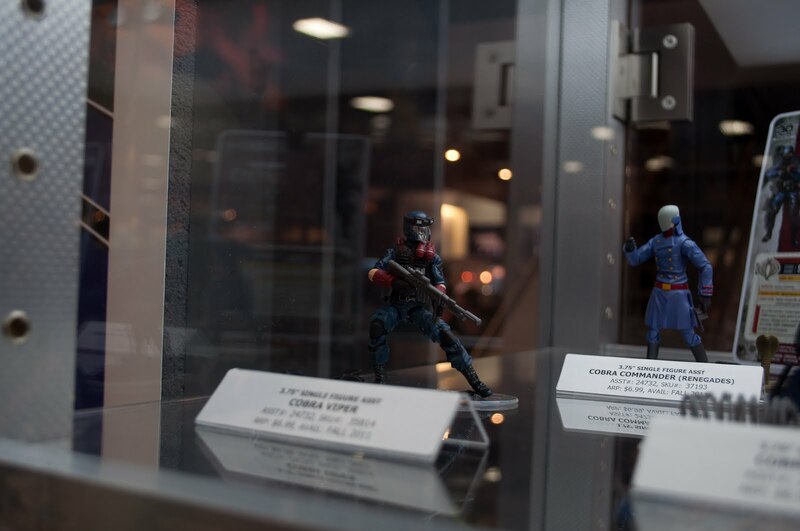 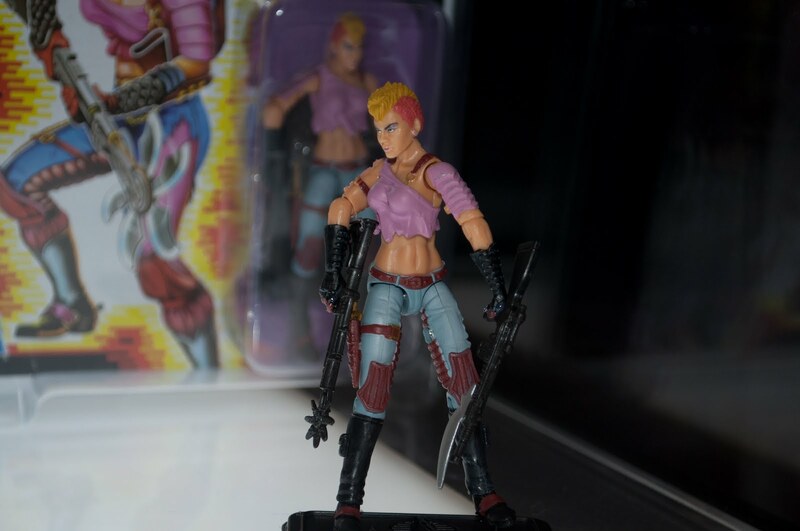 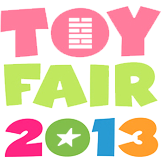 Attendees may purchase up to three regular Zarana figures and one each Starscream Sky Striker and Cold Slither Zarana variant figure per badge. 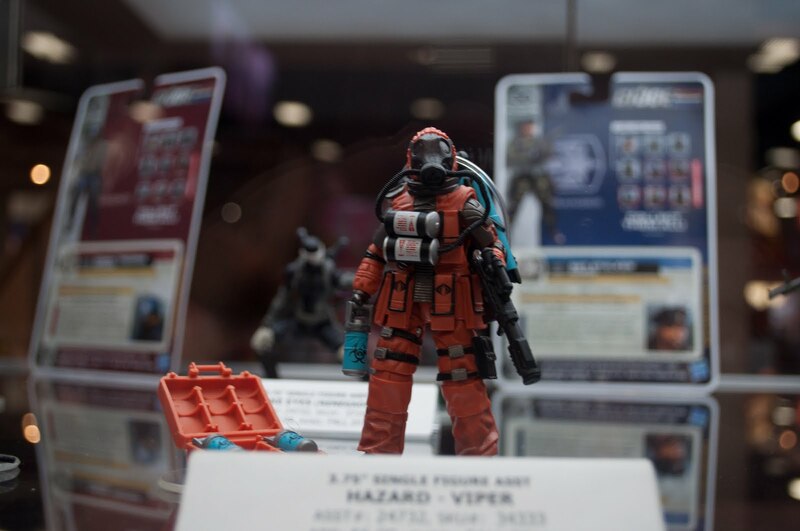 See the photos after the jump.